Foundation Trustee and Chair of the Board, Dr Michael Jay has been awarded the 2017 ASOHNS Medal for distinguished services to ASOHNS. 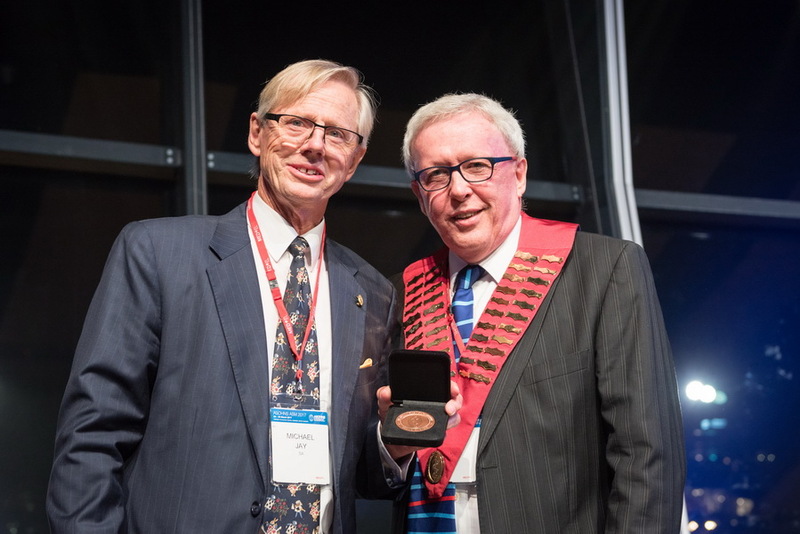 The medal was presented during the ASOHNS Annual Scientific Meeting held in Adelaide this year. Pictured above: Dr Michael Jay receiving 2017 Society Medal for Distinguished Services from ASOHNS President Assistant Professor Chris Perry.